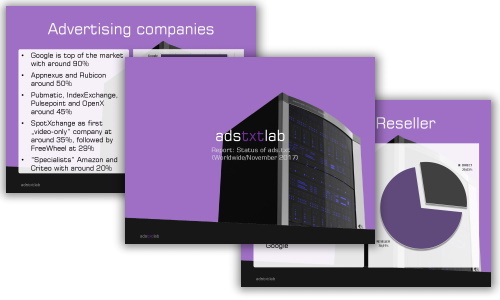 adstxtlab crawled more than 2,000,000 domains in order to see how far the adoption of ads.txt already is. The data is now available via global and country specific reports. For our global report we analyzed more than 2 million domains all over the world. The result shows how much ads.txt is already adopted in the market. For our country reports we analyzed country specific domains like .de or .fr. The result shows how much ads.txt is already adopted in the market. Need report for other countries? Please get in touch with us. The reports above may be used in your press releases or news articles. If you use our material, please send us a short info where and how you are using it. If you need further material or have questions, please feel free to contact us.